You are here: Home › Lost SOSA Episodes…Found! I’ve told the story often about how one bit of training I got made a huge difference in my acting career. And that one bit of training, the Secrets of Screen Acting podcast, just got a fair bit more interesting and helpful. Because 22 previously lost episodes were recently found. And you can have them at no extra charge. 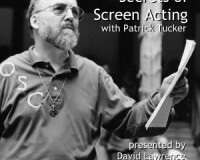 About a year and a half before I booked my role as Eric Doyle, the Puppetmaster on NBC’s Heroes, I came across an amazing book: Secret of Screen Acting, by Patrick Tucker. It was filled with answers to things about acting that were so mysterious and unknown to me as a new actor. And absorbing that book, and engaging Patrick in a podcast, became a private master class for me. And it is almost completely responsible for the long run I had on Heroes happening, as I was supposed to be killed in the first episode I appeared in. I was recovering an old server, and lo and behold, there were 22 raw, unproduced episodes that popped back up, that I thought were all lost to the failure of one of the server’s hard drives. But there they were. I post produced them, and listened again, gleefully. And now…I’m going to celebrate. I’ve already rebuilt the archive of podcasts to include the 22 newly found episodes, at no extra charge. And I’m making the entire archive available to you, all 292 5-minute episodes, covering everything from matching vocal levels to the size of the shot to why the Brits are winning all the Oscars and Emmys these days, for just $229, a savings of $50 over its everyday price. That’s over 500 megabytes of audio, over 24 hours of glorious acting wisdom, with no commercials, just Patrick giving you everything you need to be a great actor, both on-camera and on-mic. Just click here to get this special. And do act quickly. 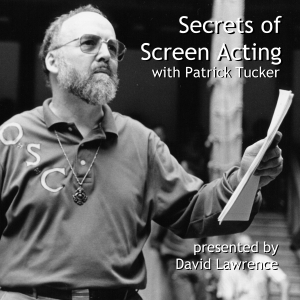 It won’t be around forever, because Patrick’s already put the finishing touches on the 3rd edition of the Secrets of Screen Acting book, which you can also get here, and soon, the podcast archive will return to its normal price of $279. If you haven’t read the book, or listened to the podcasts, you’re missing out on some of the greatest advice I’ve ever gotten. And now, there are 22 more reasons to do so. 128k, 192k, 256k – what? 3 Responses to Lost SOSA Episodes…Found! The eye flashes recording did not come through. Thankfully, I purchased the SOSA bundle a couple of months ago. What a treasure. I had read, “Secrets…” when it was first published and greatly benefited from it. The podcasts have taken it to another level. How would I go about obtaining the 22 lost episodes? These are great, David, thanks so much! Wish I had the bucks to buy the lot but soon, I hope!